Zermatt – a mile high ski Mecca for all levels of skier at the foot of the majestic Matterhorn (4,478 meters)! Best known for its southern exposure, high snowfall levels which produces the longest ski season in the Alps and quintessential Swiss charm. Zermatt is an incredible ski destination. 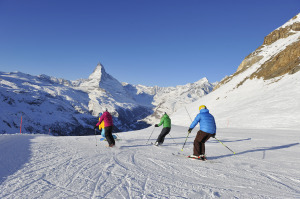 Ski the three main ski areas of Tiefbach, Aeroleid or Momatt, and then ski across the border to Cervinia, Italy for lunch – just make sure you have the right ski pass to get back! Zermatt is also renowned for it’s “all inclusiveness” and no use of cars in the village – electric-cars and horse-drawn sleighs and carriages are the only transport allowed. 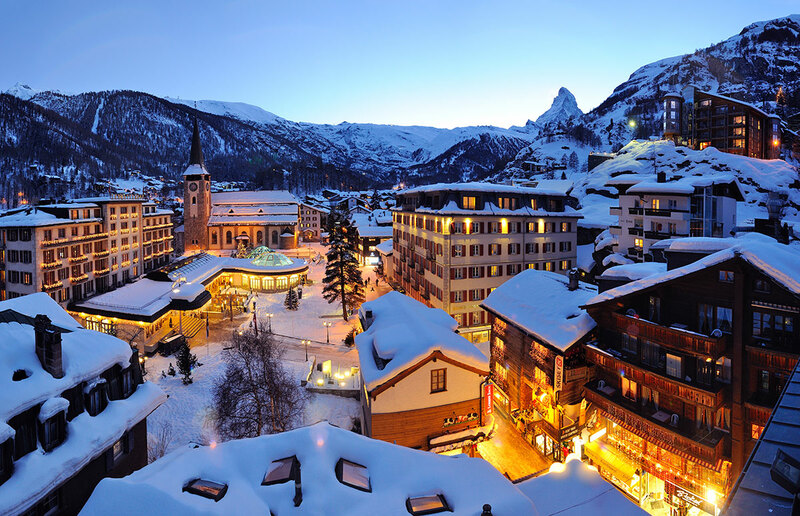 Nightlife, entertainment, shopping and non-stop skiing-Zermatt has it all! Located in southern Switzerland at an altitude of 1,600 metres and just a few hours from the international airports of Zurich, Geneva and Milano, Zermatt is easily accessible from western, northern or southern Europe.